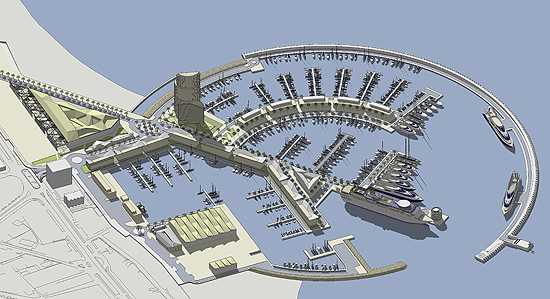 The saga continues of the delayed port plans as Qatari Sheikh Abdullah Bin Nasir Al Thani has once more failed to reply to the demands from the Junta de Andalucia regarding the building of La Bajadilla Port in Marbella. Back in August 2013, he paid out the €1.8 million required from the Junta de Andalucia for the managing costs for the port for 2012 and 2013, even back then this amount ought to have been paid sooner. Nevertheless, this time around, his own staff have apparently failed to establish the development project required by the Public Ports Agency, that is part of the Junta de Andalucia Council for Public Works. This would have defined the primary completion dates for some of the most crucial phases of the development. The Sheikhs organization, Bin Nasir Abdullah & Sons, as well as Marbella City Hall have already been advised that administrative procedures are going to be launched against them which may result in a fine as the town hall also owns a small percentage of the project.The fine could be appealed in opposition to, however the construction process has already been delayed by 17 months.